“I have six cats on the property. 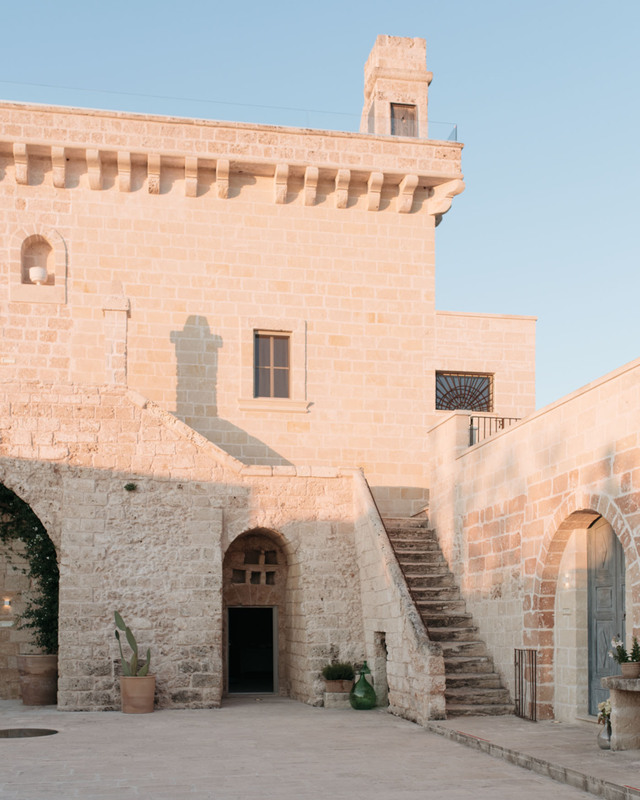 Let’s see how it goes”, Rob Potter-Sanders, the owner of Masseria Trapanà, says laughing, as he walks us through the enormous wooden door and sits us down for welcome drinks. 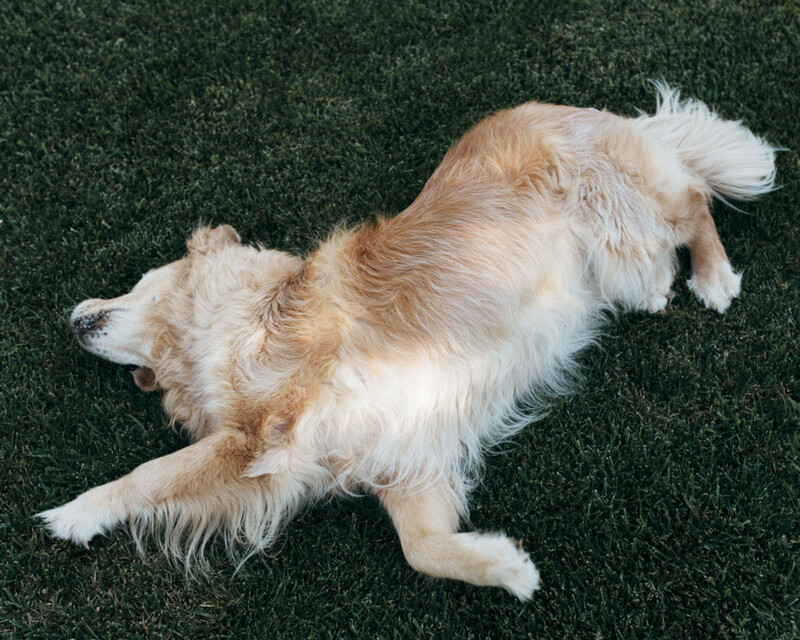 It is early afternoon, and if there was a sense of being an elegant writer couple traveling with a well-trained golden retriever when we left home for our little road trip, it is long gone by now. Arriving at our fourth destination we look more like a small circus, our car covered in dust and Hilma running around, panting, and being too interested in everything and everyone (those suspicious-looking cats too). 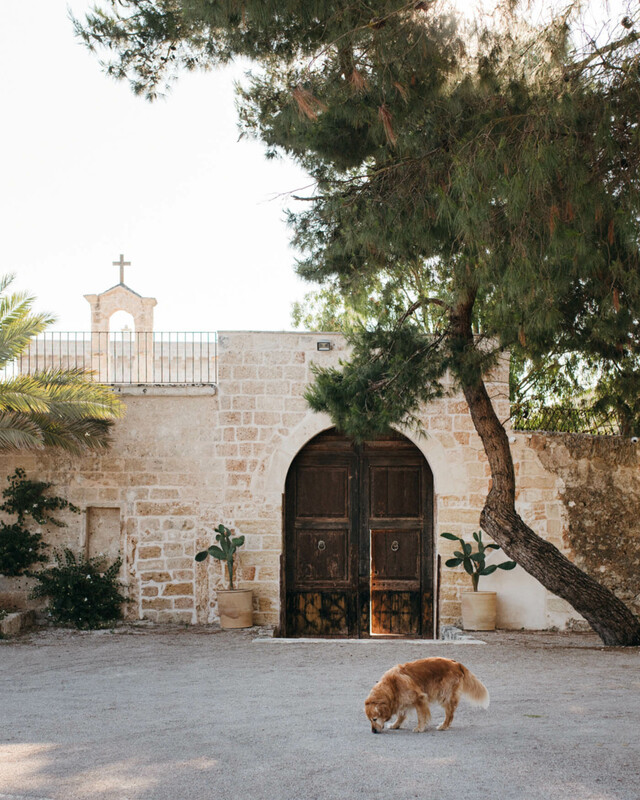 But in a true five star manner, at Masseria Trapanà sweaty guests arriving with a highly active dog and a couple of too many bags are welcomed like they are royalty. Nothing’s a problem. Everything is easy. After a few deep breaths and a few sips of cold prosecco, I am beginning to feel I am on vacation. 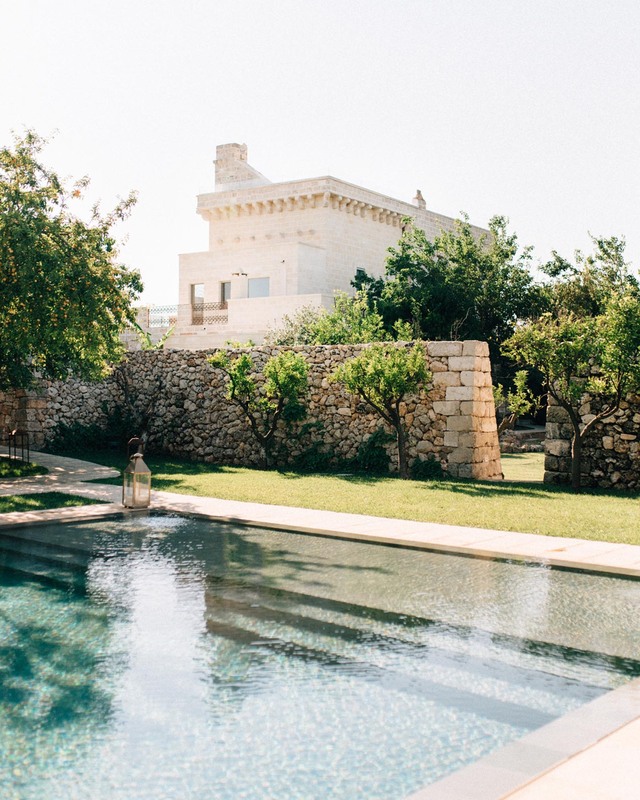 Masseria Trapanà was opened in 2015 as a nine suite hotel but the property dates back to the 16th century when it was a typical Apulian farmhouse, masseria, nestled inside thick olive groves and surrounded by walled in gardens that were used for growing fruit. The olives and fruit groves are still here. 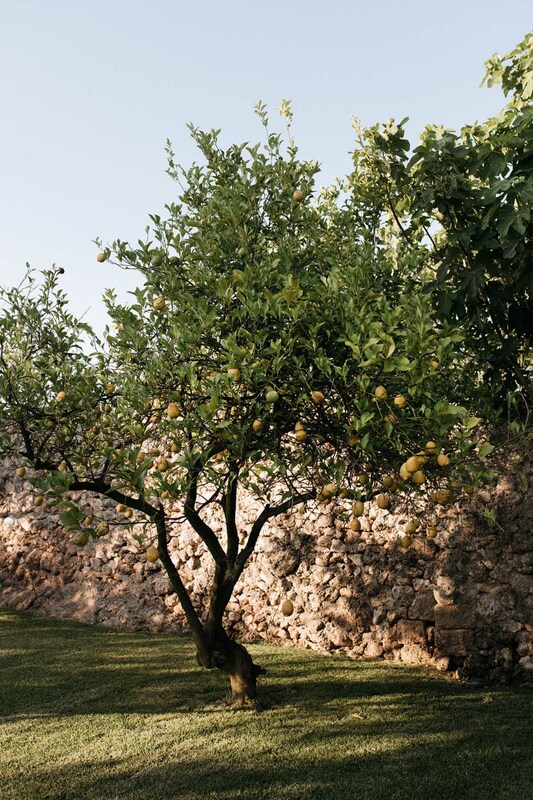 Pomegranates, walnuts and olives are harvested in fall, oranges, mandarins and lemons in winter and plums and mulberries in summer so there is something home-grown to serve guests each season be it delicious summer fruit at breakfast, house olive oil, juice or lemonade. 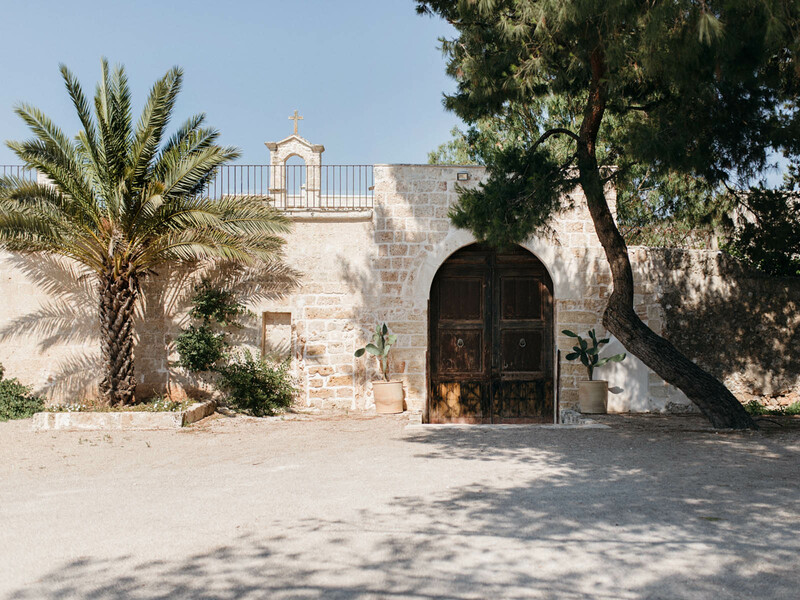 While the retained olive groves, fruit groves, an underground olive mill and a little chapel by the entrance add layers of life and history, Masseria Trapanà lacks the forced rustic feel that so easily makes places like this feel impersonal. 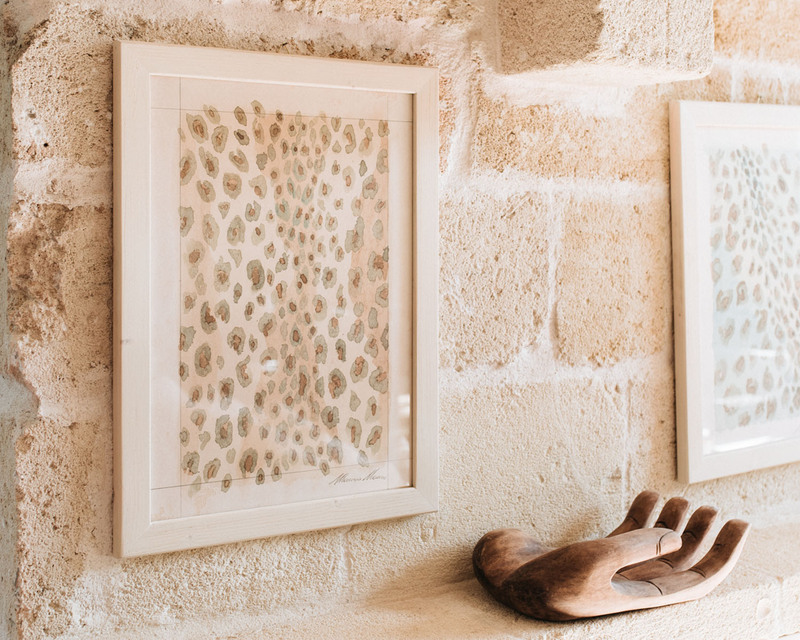 Instead, it is what it is, a stylish modern hotel, that respects the past but lives fully in the now combining historical elements with meaningful architecture, landscape and interior design, and immaculate service. The staff is Italian but everyone speaks good English as most of the visitors come from Rob’s motherland Australia, or other English-speaking countries such as New Zealand, the US, and the UK. All of the nine suites have their own name and identity. 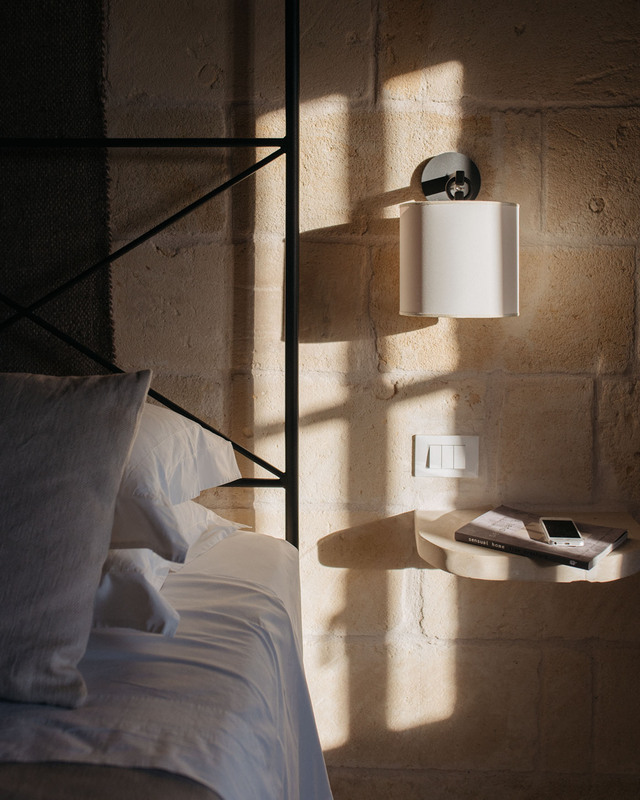 We stay in Trapanà North Suite that features all the essentials and nothing irrelevant: large bed, working fireplace, sofa, wardrobe, desk, and an airy bathroom. 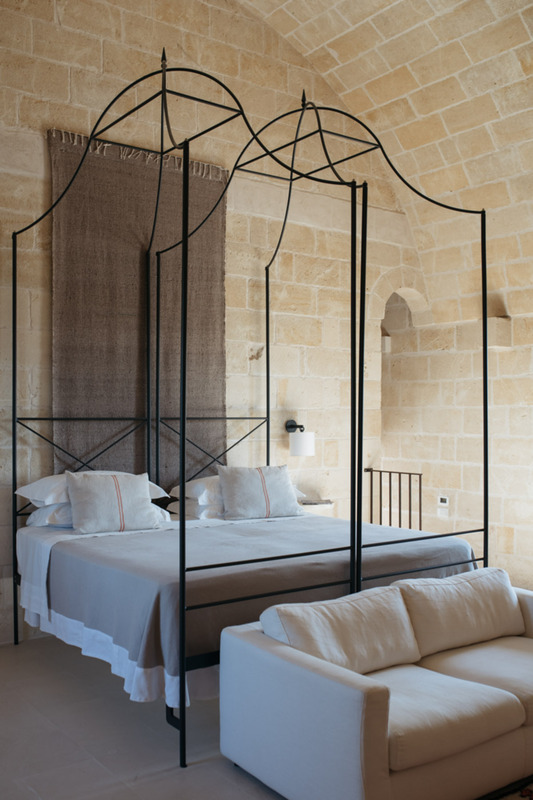 The minimalist design highlights the gorgeous structure of the building with honeyed tufo stone walls and high arched ceilings. All spaces focus on seamless indoor outdoor flow. Breakfast, lunch and dinner are served outdoors whenever possible. Most of the ground floor rooms have a private walled in garden. 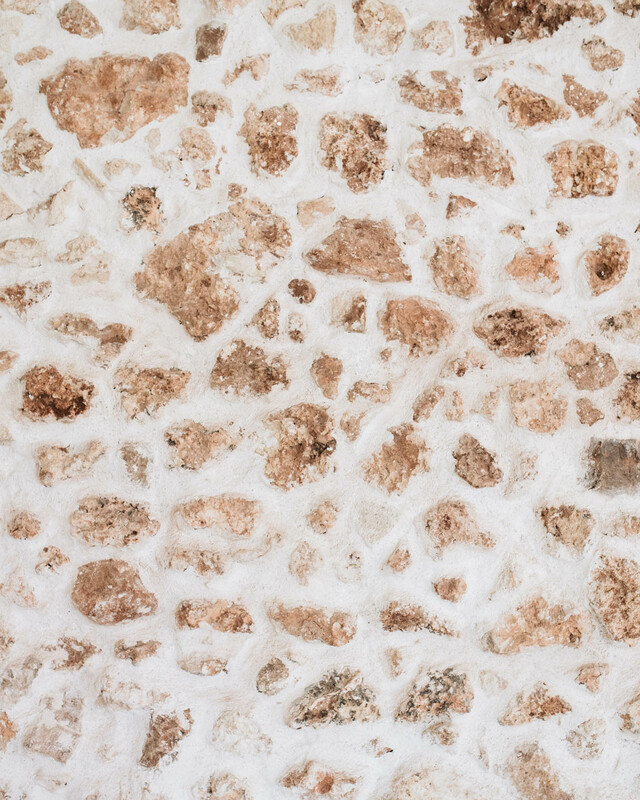 Our room is located on the second floor and along with an al fresco bath we have on our terrace, there is a secret staircase behind our bed leading up to our own private tower and rooftop terrace. 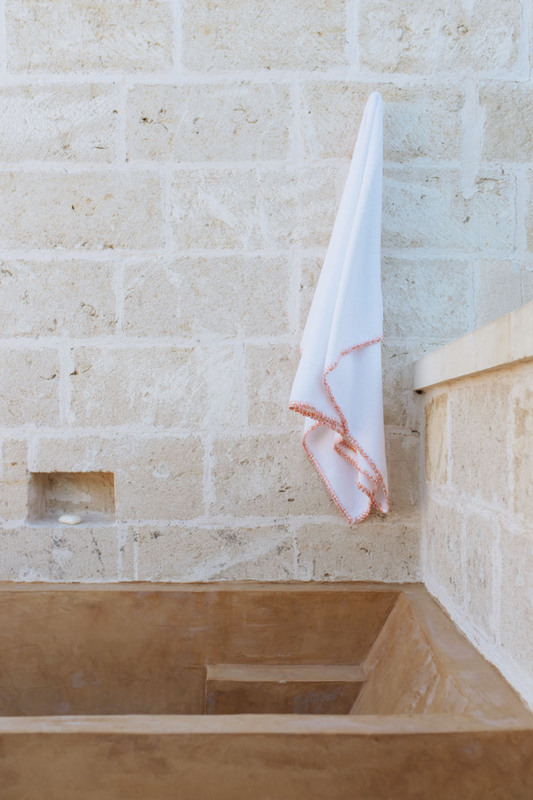 What I most like about Masseria Trapanà is a sense of space and privacy. 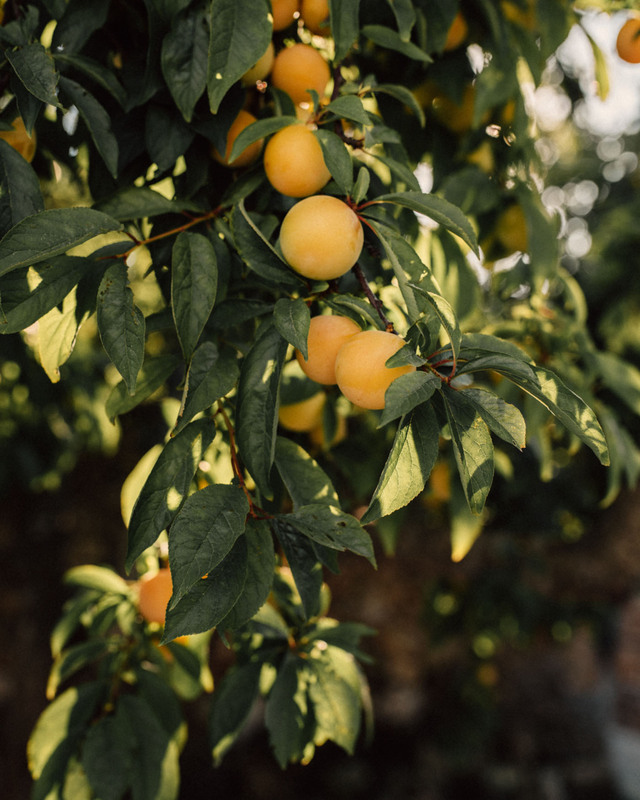 Although there would be endless options for day trips, we end up spending most of our time writing, reading and relaxing under the huge plum tree by the saltwater pool, and wandering around the gardens. The world can wait for now.